Saving money might generally not be an easy thing to do, but if you know a few tricks to help, you might be able to successfully save more of your money and reduce your overall expenses. Jumia Travel shares 5 easy tricks that can help you save money. Making and packing your own food along when you’re out and about is great, but often overlooked, a way of saving a significant amount of your money. Many people complain that the reason they are unable to make their own food, even though they would like to, is because they don’t have time; but if you consider the daily schedules of most of these people, you’ll realize they actually have time but are not just willing to use part of that time to get ready the food they would need for the following day. Most times, towards the end of the month, in a bid to meet sales quotas for the month, sales persons are willing to give deep discounts in order for them to make sales and meet their quota. 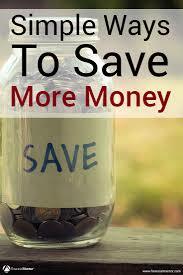 You will, therefore, be potentially saving a lot if you wait until the end of the month to make large purchases.